Appellation or Vine Vinsanto del Chianti Classico D.O.C. This Vinsanto is produced with grapes chosen from the Malvasia, Canaiolo and Sangiovese varieties, which are naturally withered on matting until January. After the grapes have been gently crushed, the must is transferred into small casks of different materials and capacities, where it remains for four years. The finished wine is yellow with a burnished gold hue. 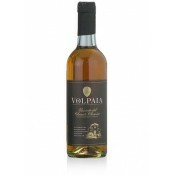 It has a fine aroma of Spanish broom, almonds and juniper berries. It tastes dry, warm and fragrant with a well-judged mellowness. The Fontodi estate is located in the heart of the Chianti Classico production area, or more precisely, in the valley that begins south of Panzano, an area known as "Conca D'oro", or "The Golden Bowl", for the position of the land, which is largely given over to wine-making. It is not by chance that Fontodi wines were already famous at the beginning of the twentieth century, as numerous honours at several international wine meetings attest. The Fontodi estate has been run by the Manetti family since 1968. For many centuries the family had been dedicated to another activity that is typical of the Chianti production area, the manufacture of terracotta paving stones. It has been with a full awareness of the strong ties to the land that in recent years the company has dedicated itself to rediscovering from the origin the identity the Chianti Classico wines. The wines produced have a perfect combination of well-judged balance and complexity. This combination comes from both the adoption of appropriate methods of cultivation and more modern wine-making techniques. The research focused in particular on the Sangiovese species of grapevine, with a brief to express the vine's remarkable potential in the context of the specific conditions at Panzano. In many respects, this is potential that had never before been fully explored. 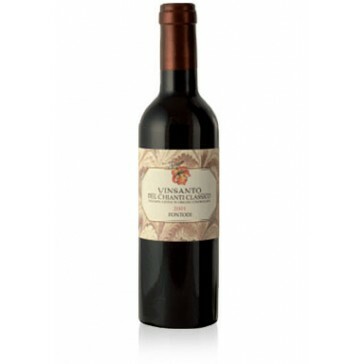 The result of this careful and complex work is a strain of very high quality Chianti Classico wines, as well as the introduction of wines such as Flaccianello della Pieve and Vigna del Sorbo. This is a wine that is naturally suited to the end of a meal, to be drunk with dryer desserts or even on its own. It is recommended to uncork the bottle an hour before drinking. The wine should be served at 10 - 15 degrees centigrade. The best glasses to use are clear, transparent crystal goblets. This is a wine with an exceptional ability to age. If kept well, it has an average conservation period of more than twenty years. The bottles should be laid horizontally in a cool, dark, humid wine-cellar.